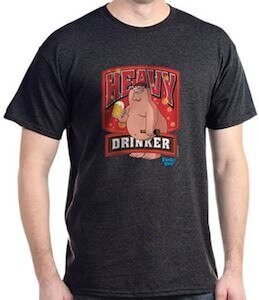 If you like Family Guy and drinking beer then maybe you should check out this Peter Griffin heavy drinker t-shirt. The Family Guy t-shirt is available in many styles for men and women and comes in a whole bunch of sizes and colors too. On the t-shirt you can find a naked Peter Griffin with beer in his hands and he clearly looks drunk. Around Peter it says Heavy Drinker and even a small Family Guy logo. A shirt like this is great present for yourself but also makes for the perfect present for one of your heavy drinking friends. 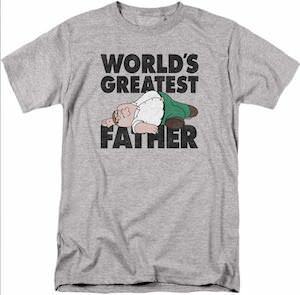 Family Guy fans will like this Peter Griffin world’s greatest father t-shirt. The Family Guy light gray t-shirt is available men’s sizes Small – 5XL and is made from preshrunk cotton. 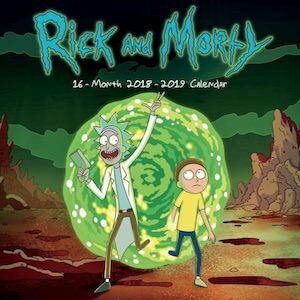 On the t-shirt you can find the text “World’s Greatest Father” and in between the words you can see Peter Griffin passed out with drool coming from his mouth and his leg in strange orientation. Peter Griffin is the ideal dad but maybe only for true Family Guy fans. 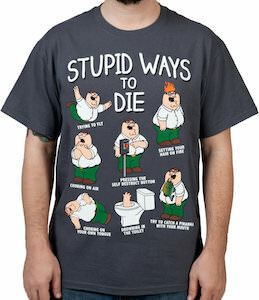 And if your dad likes Family Guy and is a great day then you could surprise him with this shirt too. 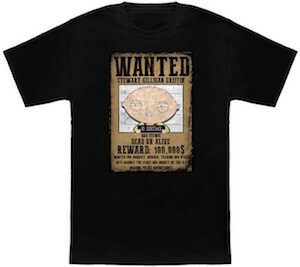 This t-shirt shows a Stewie wanted poster and if you are a fan of Family Guy then this could be the t-shirt you want to wear. The Stewie t-shirt comes in a range of colors and is available in men and women’s styles in sizes Small – 6XL. On every shirt you can see a brown poster of Stewie Griffin and it has his police mug shot and it says they reward is 100.000 dollars witch of course is a lot of money but be careful Stewie is a strange one so I don’t think you can trust him to much when you track him down. 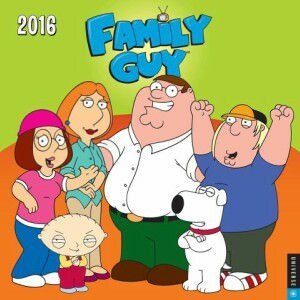 Join Peter Griffin’s family for 2016. 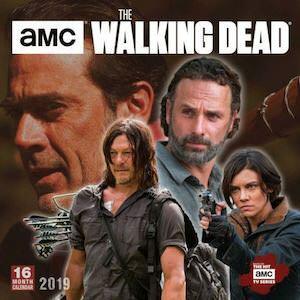 Stewie, Meg, Chris, Brian and Lois will all be there to keep you laughing will all of their antics. 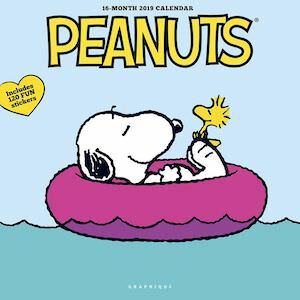 This wall calendar contains 12 quotes and catchphrases from the cartoon series. 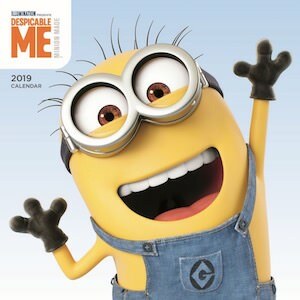 Each month features colorful and hilarious still shots from the show with large writing and blocks to keep all of your memories, important dates and appointments in one place. 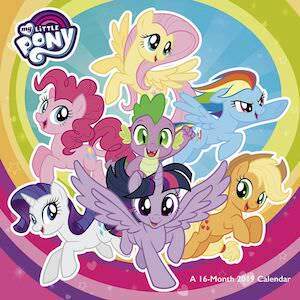 This 2016 wall calendar will keep you in stitches, month after month. 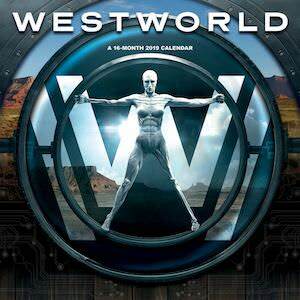 It measures 12 inches by 24 inches when the calendar is hanging up. 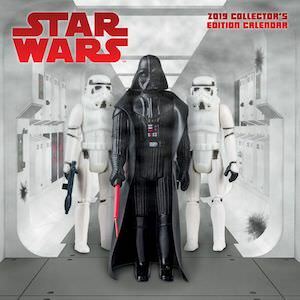 It will fit in any color of decor and will be a conversation starter each and every month. Featured on this t-shirt is the animated family the Griffins from the hit comedy series Family Guy, each member of the family is dressed up as a DC Comics Justice League superhero. 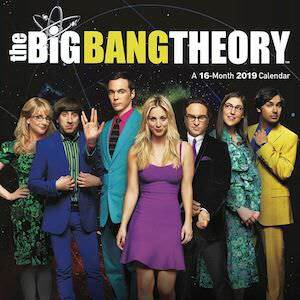 Peter Griffin – Superman, Chris Griffin – Aquaman, Lois Griffin – Wonder Woman, Brian Griffin – Batman, Stewie Griffin- Robin and Meg Griffin is not dressed up, also find the fun saying “FREAKIN EPIC”. Made from 100% cotton to give you a very comfortable and soft tee aswell as a very durable shirt to last you a long time, it is available in a wide variety of adult sizes. 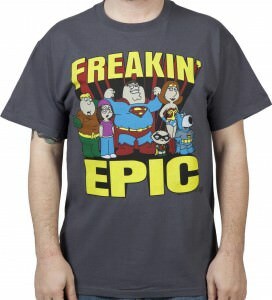 Get into this Family Guy Justice League Freakin Epic T-Shirt. The cast from Family Guy wants to play a game with you! And for that reason they developed this special Family Guy Monopoly game. A special Monopoly game of course has a board with the whole Griffin Family on it and of course Brian is on that to. And then there is the play pieces they are the family to. 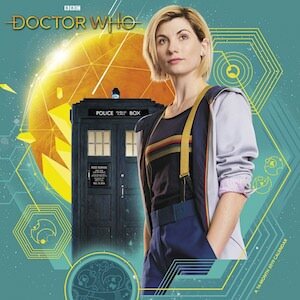 There a piece for Peter, Louise, Stewie, Brain, Meg and Chris so you can decide who you want to be. 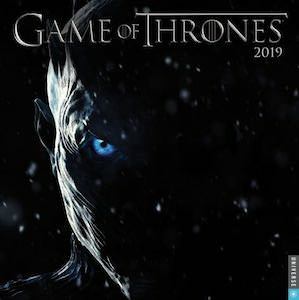 And now you are set to play in the world of the Griffins with special streets and money. 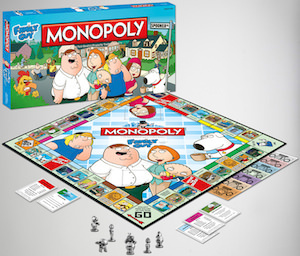 Board games are great and this one is super, don’t wait just check out this Family Guy Monopoly. If you watch Family Guy then you know that Peter Griffin is not the smartest person on the planet. He could die at any moment because of the dumb things he does. On this t-shirt, he demonstrates a bunch of stupid ways to die. All the stupid ways to die have a picture and above that, it says “Stupid Ways To Die”. 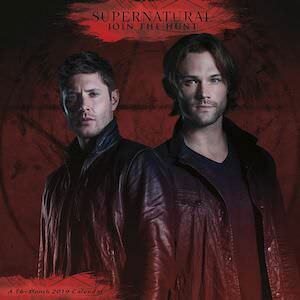 Let me tell you a two of them Trying to fly and Pressing the self destruct button. You see stupid people can learn from this t-shirt so maybe you should wear one. You can get this 100% cotton Family Guy t-shirt in sizes Small – 3XL. The famous line from Quagmire Giggity Giggity, all fans of TV’s hit animated comedy Family Guy will know exactly what this line is and who says it. This sticker is printed on 4 milimeter vinyl using water and UV resistant inks … this means you will not loose your Giggity Giggity car sticker in the rain or sun. 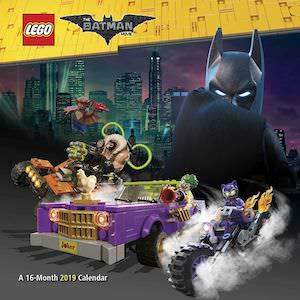 Not only will it look really awesome on your vehicle or on a wall, it could be used to decorate a laptop or binders and books, it measures approximately 3 inches x 4 inches. 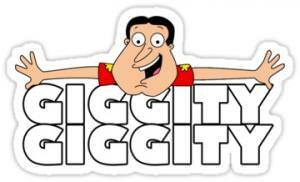 Show off your love for Quagmire with the Family Guy Giggity Giggity Vinyl Sticker. 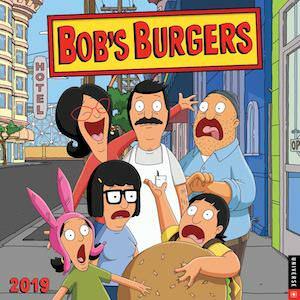 A true fan of Family Guy may like this case and if you don’t like Family Guy then maybe you like it because it shows a naked Peter Griffin. Yes all naked but not offensive and Peter even gives you a wink. 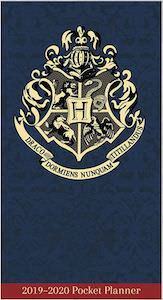 Coveroo makes these cases from quality polycarbonate so that your smartphone will be protected from harm. 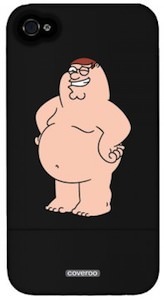 Come and have a closer look at this Family Guy Nake Peter Griffin Phone Case. The time of stickshaped USB flash drives is over, now is the time to get fun shaped thumb drives that you just like. If you like Family Guy then you are gone love this USB drive as it is shaped like Stewie. 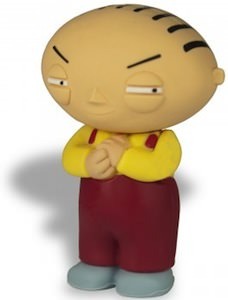 It almost looks like a 3D action figure of Stewie but when you pull Stewie’s head of then the USB conector shows up and then you know that it is realy a flash drive. 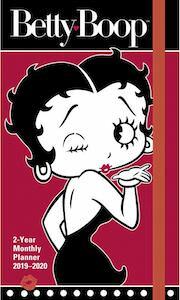 Stewie has 16GB of storage witch is plenty for photo’s, video’s and more.